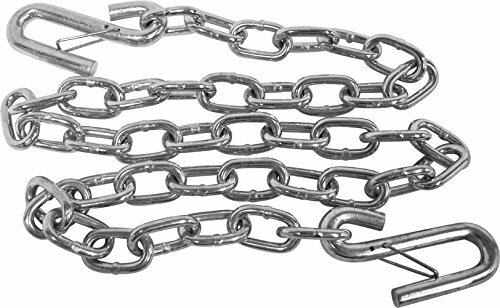 Tow your trailer safely with these tough class II chains. Welded steel links are paired with hooks featuring spring clips that prevent accidental disengagement. Buy 2; each trailer requires 2 chains. Attwood develops high value, engineered marine products to make life on the water easier to enjoy. Made to meet the demands of boat builders and distribution partners, our products are extensively tested on-site in our lab to provide worry-free boating under all conditions.